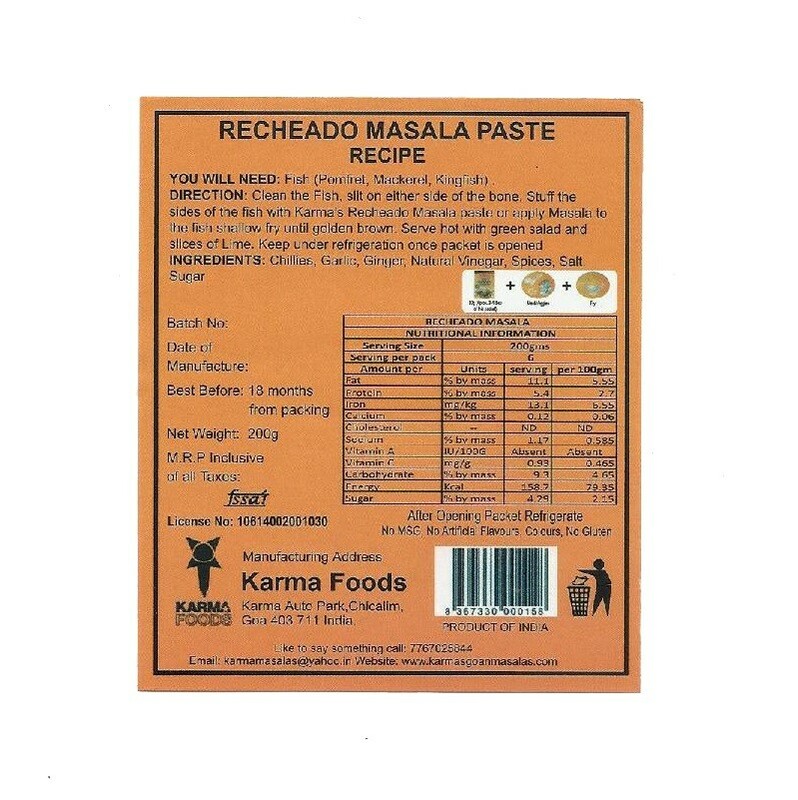 Buy Recheado Masala Paste of Karma Foods from Margao online | Authentic Indian Sweet , Savories and Delicacies from the place they originate by Moipot. In Portuguese language, recheado means ‘stuffed’. 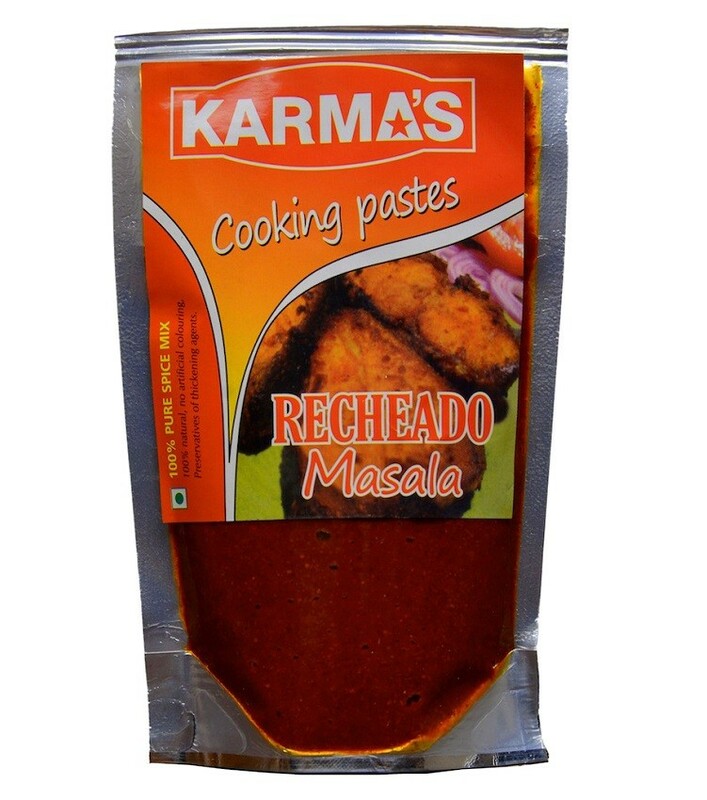 The recheado masala paste by Karma Foods is a popular Goan spicy and tangy paste made with Kashmiri dry chilies and spices and is mainly used to stuff fish or a variety of seafood. This is one of the best masala paste you must definitely give a try. Make scrumptious non-veg dishes with this ultimate paste and we are sure the dish will make your guests held onto it with every bite.